Implemented Vulnerability Management and Penetration Testing Solution across multiple locations for a leading Global Telecom Giant. Managing security policies on multi-vendor firewalls & cloud platformsfor the World's Largest Enterprises. Designed, Developed and Rolled out Mobile Interface for a leading Cosmetic Giant across 9 countries. Involved in Designing and Scaling up the Security Infrastructure for a Civil Aviation Company managing 125 airports globally. We serve FORTUNE 1000, Government and Emerging Companies. Security assessment services are aimed at providing assessment of the situation and problems at every level. This is used to assess and control any weaknesses and issues with the system. Through the highly skilled Security Professional Services, at eSecForte special care is given in eradicating security threats. The SPS has a great track record when it comes to providing security services. Security consultation involves getting great advice and insight from the experts who specialise in security services. The Enterprise Application Development Services are solely aimed at supporting business level application creation and management. We combine the technology from our Technology Partners with our local support and implementation to create meaningful solutions. We together offer complete solutions tailored to suit your business requirement implementation scenario and expertise level. eSec Forte® Technologies is a CMMi Level 3 certified Global Consulting and IT Services company with expert offerings in Information Security Services, Forensic Services, Malware Detection, Security Audit, Mobile Forensics, Vulnerability Management, Penetration Testing, Password Recovery,Risk Assessment, DDOS Assessment etc. We are certified by CERT-In for providing Information Security Auditing Services. 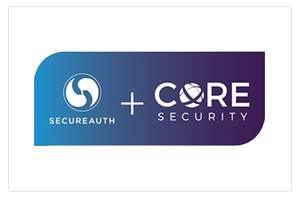 We are Authorized Technology Partners of Information Security Solutions Tufin (Firewall Management), Nessus, Tenable SecurityCenter, Core Impact, Atola Technology, Arcos (Privileged Access Management), Netsparker, Burpsuite, AccessData FTK, AD Enterprise , E-Discovery, Checkmarx (Application Security Testing), Cyber Deception and more. We are also Manufacturer for CrackBox (Our Proprietary Tool for Password Breaking/Cracking) and DDOS Assessment. We assure you high quality deliveries every time and on time! Connect to Better! For more information.